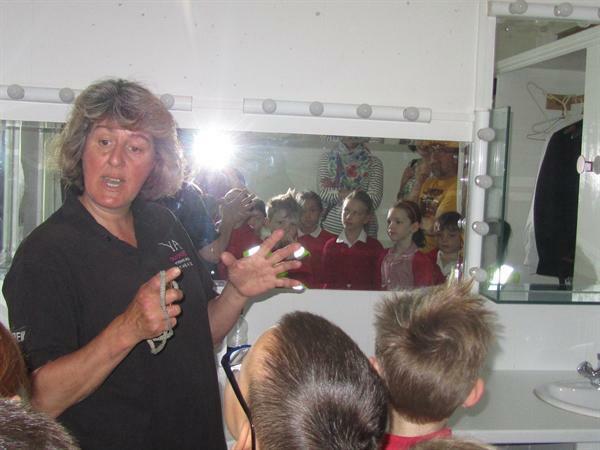 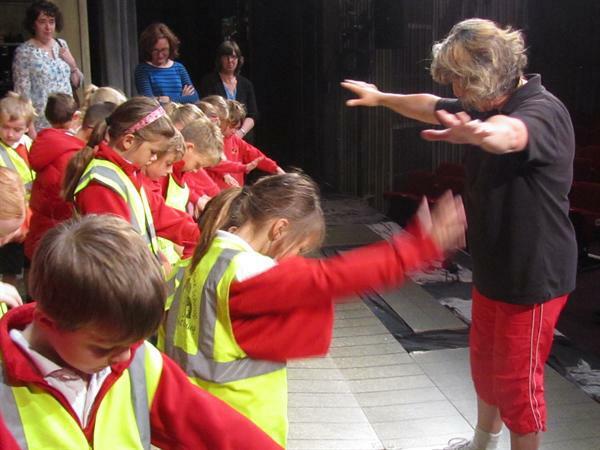 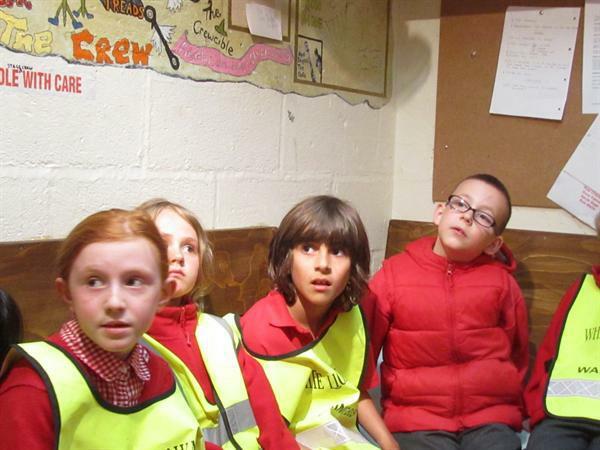 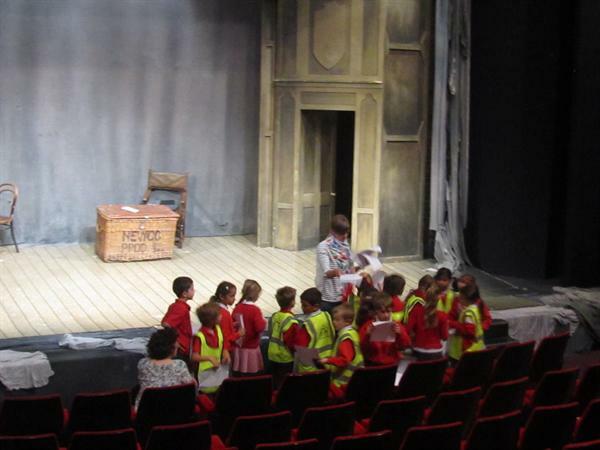 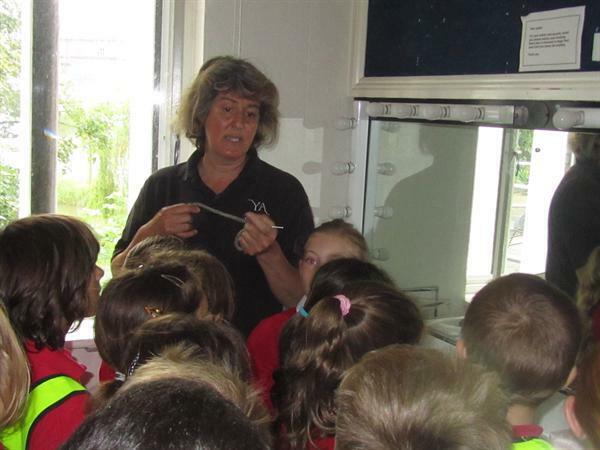 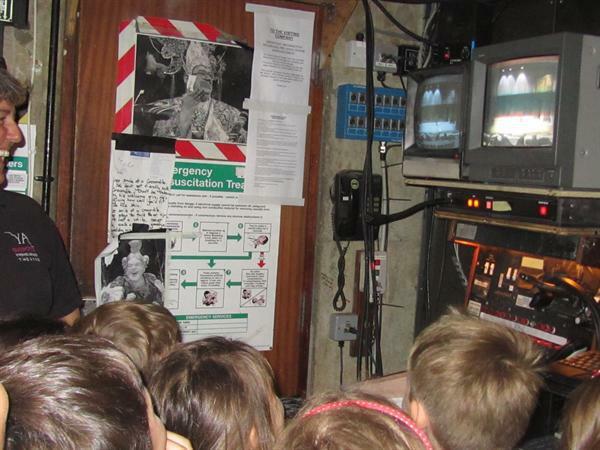 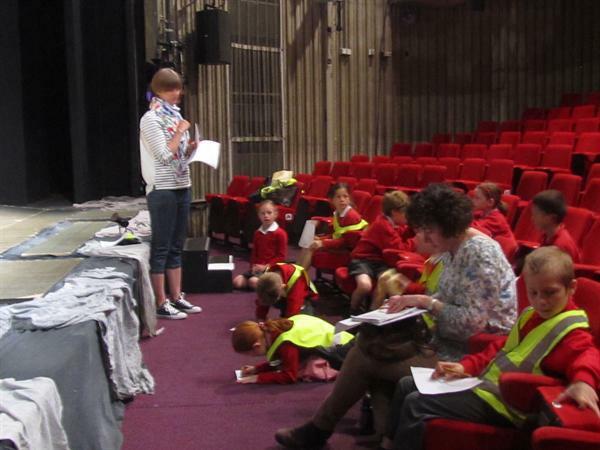 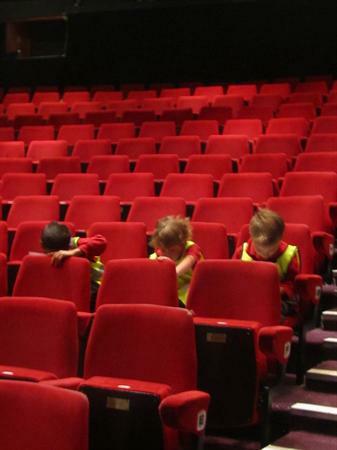 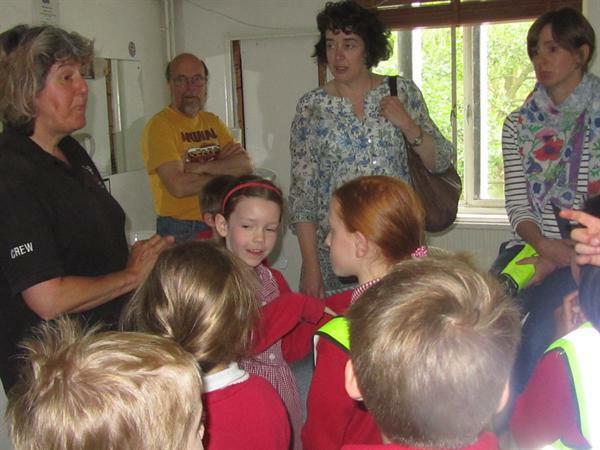 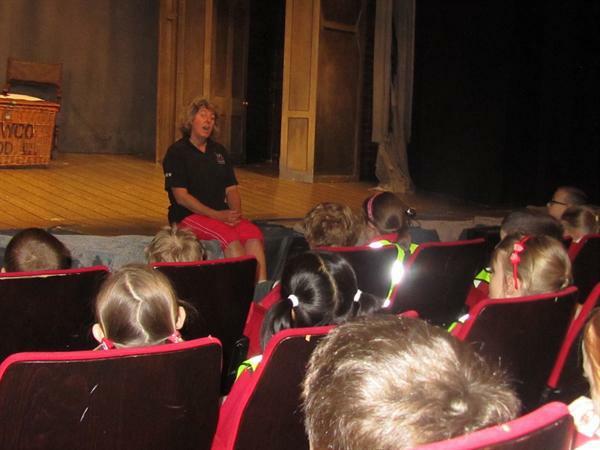 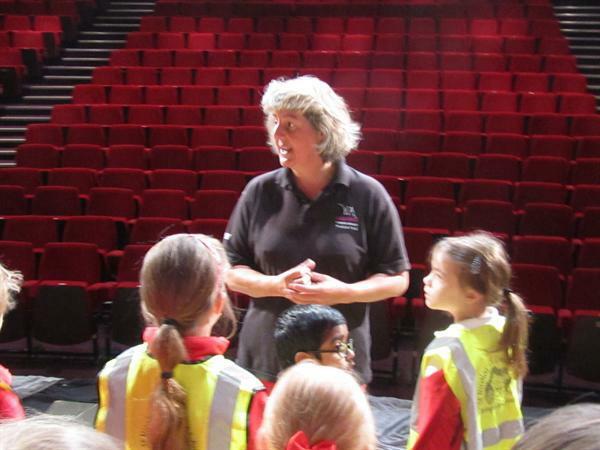 Year 2 visit the Yvonne Arnaud Theatre for a backstage tour! 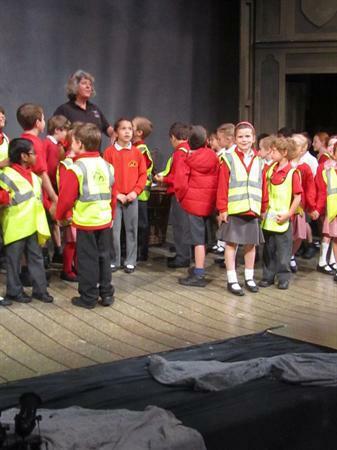 At the end of term, Year 2 will be putting on a play for the school and their parents. 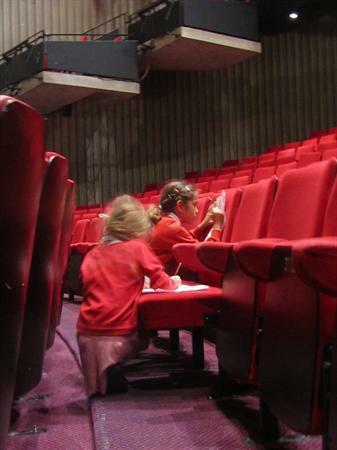 In order to help the children really understand all that goes into making a theatre performance, we visited the Yvonne Arnaud Theatre, just down the road from school. 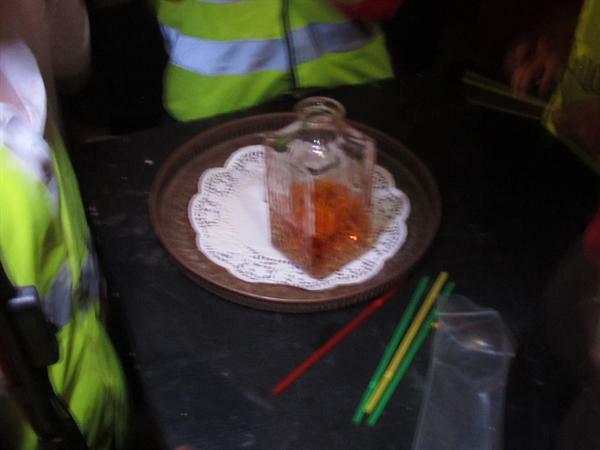 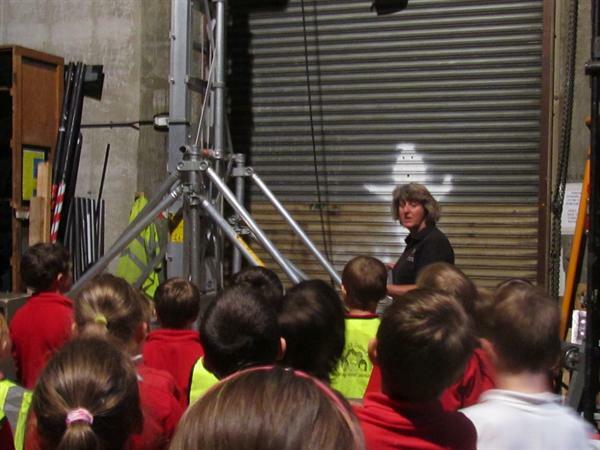 Samuel's mum works there and gave us a fascinating tour and explained all about the stage, scenery, props, lighting, dressing rooms and backstage crew that are essential for plays to be performed successfully by the actors. 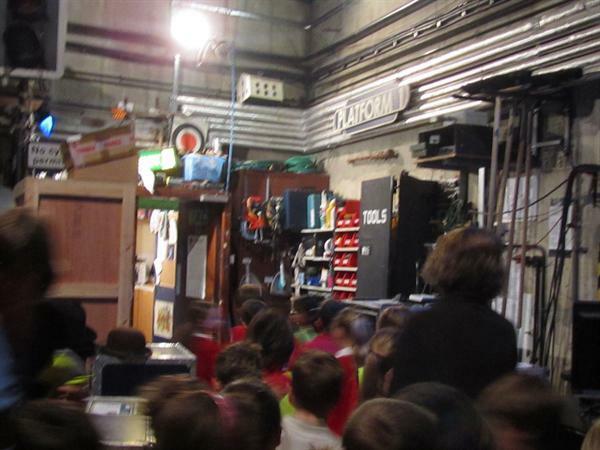 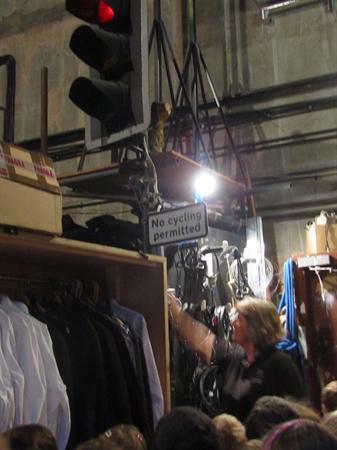 We got to see the dressingrooms where many famous actors have prepared to go on stage and tread the boards ourselves. 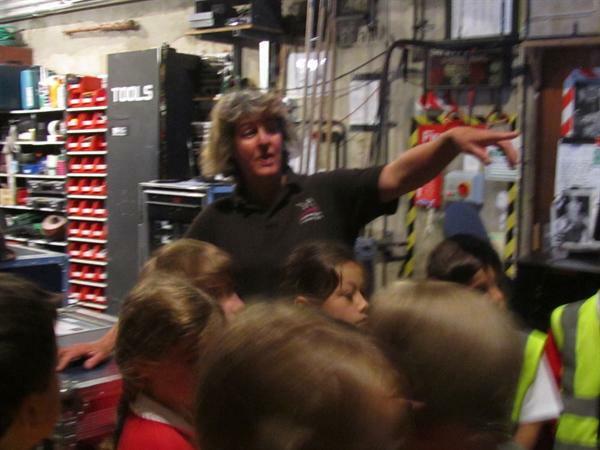 The children (and grown-ups) had a wonderful time and learnt a huge amount about the theatre, Year 2 are now even more enthusiastic about their own play!